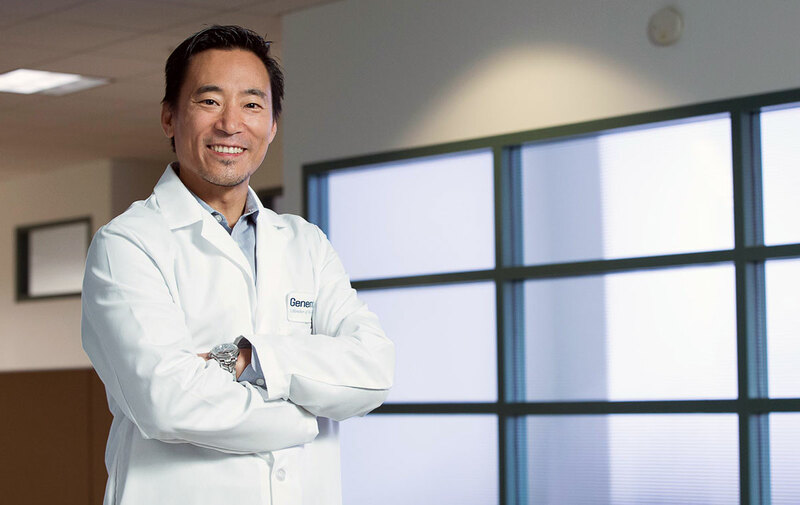 The head of Roche/Genentech's immuno-oncology programs discussed the firm's combination strategy at the recent American Society of Clinical Oncology annual meeting in Chicago. The well-established leader in oncology, Roche has taken an unaccustomed back seat in the emerging field of cancer immunotherapy. But with nine immuno-oncology assets in the clinic and its PD-L1 inhibitor Tecentriq (atezolizumab) clearing FDA a couple weeks before ASCO, the time has come for Roche to make its mark, especially as Tecentriq is the first PD-L1 inhibitor and the first IO therapy for bladder cancer. (Also see "Early Tecentriq OK Gives Roche/Genentech Jump On PD-L1 Bladder Cancer Market" - Scrip, 18 May, 2016.) 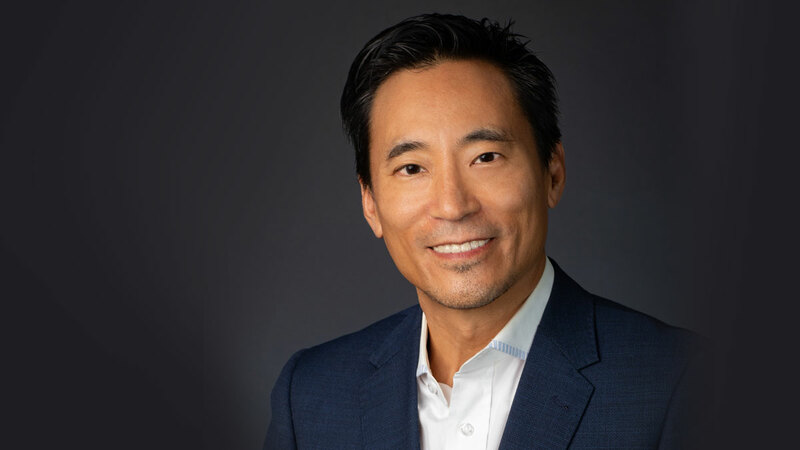 Global Head of Cancer Immunotherapy Dan Chen explained Roche's strategy on combinations and how the firm plans to uphold its leadership position. Q: It's only been a week, but are there early signs of how the Tecentriq launch is going? Chen: I think it has been a successful launch. The team was very well prepared for this. And it's exciting to watch it start to move. We know that the reaction from bladder cancer experts has been very, very positive. As an oncology company we have a very strong established sales force, it's not like we have to bring in a lot of people, we have a very strong base. Q: The biggest potential for immuno-oncology appears to lie in combination use and at this ASCO, we're starting to see more combination data. What does that early data mean for you? Chen: We have one of the broadest cancer immunotherapy new molecular entity programs I think of any company. This has been driven strongly by our understanding of the underlying biology as it relates to cancer immunity. And we also have these two research organizations, gRED and pRED [Genentech Research and Early Development and Pharma Research and Early Development, within Roche], both of whom have now really focused heavily on cancer immunotherapy. Over half of our pipeline is already new cancer immunotherapy drugs, many of which are in the clinic – I think we're saying that we have nine now. So, it's a lot of exciting combinations to start to test. Because we believe that PD-L1 inhibition winds up being one of the foundational pieces to successful cancer immunotherapy – all of these will be looked at in combination with Tecentriq as well as a single agent. And where the biology makes sense, we'll also look at other combinations. For example, in some cases maybe you'd want to do an OX40 plus CD40, a two new molecular entity combination. But, in general, we think that by adding Tecentriq to any of these, we should make the activity stronger. Q: The first combination data is being presented on OX40 in combination with Tecentriq, right? Chen: We have in the past presented some single-agent data, so there were a couple of responses to OX40 as a single agent, in renal cell carcinoma. So we know that the drug itself is both safe as a monotherapy, active as a monotherapy, and safe in combination. But it's too early yet to really know how active the combination is. The initial patient population presented [at ASCO] is a very heterogeneous population and I think it's difficult to draw any conclusions from it yet. So, really, what we're looking for is [now that we know] the drug combination is safe, we want to see what the efficacy looks like. And for that, we have very well-defined cohorts to test it in. So very specific cancer types and lines of therapy, and those patients will receive the combination and we'll see how the data look. Q: What is your approach to expanding into triple combinations? Chen: We think triple combinations are possible. When it makes sense, it's simpler to move forward with a two-drug combination. But we're not afraid of moving forward with a three-drug combination or even more when it makes sense. But it's got to make sense as it relates to the immune response. Immune response is regulated by many different factors. So, there are situations where it really might make sense to put three drugs together. Q: What makes Roche/Genentech's combination strategy different than others? Chen: Obviously there's a lot going on from other people as well in this space. So, I would start with the scientific underpinnings … we have a world-class immunology organization in cancer immunology, so it does allow us I think to really have a depth of understanding in the space to pick the targets. Now, of course, that's not always going to succeed. There are other strong companies here as well. The second advantage we have is we came into the space with a really specific strategy around how to look at biomarkers and understand how the immune system and the cancer cells interact in the human experiments. Because [with] most models, there are just a lot of artificial things about those models. So we believe because we have so much biologic data collected from those studies, it will help us start to understand human immune biology so we can pick the right targets and can pick the right combinations. We have a multi-pronged approach … lots of targeted therapies combinations, we have our chemo combinations and we have our immunotherapy combinations. We knew going in that colon cancer didn't respond well to single-agent immunotherapy, even though biologically it should – colon cancer has the mutational burden to make it immunogenic. So, it should have responded a lot like lung cancer, and yet it didn't. The only place you've seen consistent response rates are in these MSI-high colorectal cancer patients, which make up somewhere around 2% of metastatic colon cancer, so it's a tiny, tiny, small indication. We've been more focused on what's wrong with the other 98% of colon cancer. And we think that some of the reasons why colon cancer may not respond as well is that you get things like down-regulation of MHC class 1 in colon cancer, the molecule that's required to show a T-cell that there's something foreign. If a cancer cell down-regulates that protein, it can become invisible to T-cells. One of the hypotheses we had was if we give a MEK inhibitor, which has a 0% response rate in colon cancer as a single agent, we might be able to drive up the MHC 1 expression and suddenly take this colon cancer that's not responding and make it into a responding tumor. And that's essentially what we're seeing. That 17% response rate [seen for the Cotellic/Tecentriq combo] is much higher than we'd expect to see in single-agent colon cancer. We think our response rate as a single agent is more like 5% or 7% in colon cancer. So, what we're doing is restoring what should have been the natural responsiveness to colon cancer with Tecentriq. While in and of itself that may not be the answer to all of colon cancer, we think it likely makes colon cancer very similar to lung cancer where we do see great activity of Tecentriq. … Now, it's not the final step, but I think it's a big step. Q: Roche has been at the front of the pack with chemotherapy combinations, but there are concerns that there can be immunosuppressive effects, so there might be issues with durability. Is that something you're concerned about? Chen: We haven't seen issues with the durable responsiveness in our studies to chemotherapy combinations like carboplatin plus Abraxane as a combination strategy. I think that when we say chemotherapy is immunosuppressive, there's not a lot of data that chemotherapy is suppressive of T-cells. It can be suppressive of other cellular responses in the body, but T-cells are the ones that we really need to kill cancer cells here. And that we haven't seen. In fact, the response rates to these types of combinations have been quite encouraging. [Chemotherapy] likely represents a good combination partner for treating patients, it will drive high response rates. We'll have to see about the durability, but we're clearly seeing durable responses just like we do with single agent. Q: Being first to market has given Bristol-Myers Squibb Co. a big head start. How much differentiation do you think there is between the IO classes and how important is that? Chen: There's no doubt it's important. It's not everything, but it is important. I think the differentiation just from targeting PD-1 and PD-L1 is nuanced. It's not night and day, clearly these molecules are very similar. We picked PD-L1 because we thought it would be both safer and more efficacious. And we can't clearly say that that differentiation exists, but if you look at the overall safety profile and you look at the ability to manage those types of AEs, I think that we compare favorably. And if you look at the durable efficacy … we actually compare favorably. We showed today POPLAR data, the most up-to-date randomized data in lung cancer, and if you look at those curves and compare them with curves that have been generated by PD-1 drugs … it looks favorable. I think that we have a very strong cancer immunotherapy here in Tecentriq, and that ultimately other differentiation will have to emerge over time. I don't think differentiation itself is everything, and we've seen that over the course of drug development over decades. It's good to be first-in-class, but you don't always ultimately succeed just because you were first to class.